The Almaty city administration will reconstruct Baiseitova and Zhibek Zholy Streets and Dostyk Avenue to prioritise pedestrians starting in April, the regional press service has announced. Fences, pedestrian ramps and detour signs will be installed. More than 600 streets and 1,400 old courtyards in the city’s historical centre have already been reconstructed, and a third of street lighting transferred to energy-saving lamps. New roads are planned for 12 districts and more than 12,000 trees are to be planted. New LED lamps will be installed on more than 120 streets. “Eco-friendly paving tiles, energy-saving pavement lighting, outdoor furniture, sports grounds and children’s playgrounds will be built to create a comfortable urban environment. All entrances to buildings will be made in a single style. It is planned to plant new trees and preserve old ones,” a city administration press release explains. A waste-sorting facility and a plastic-processing workshop will be launched in June in Atyrau, reports Kazinform. The waste-sorting equipment from Belarus is designed to separate up to 100,000 tonnes of municipal solid waste per year and the plant will create approximately 70 work positions. “The Sifaniya-Ekotekhnika company supplies waste processing equipment to the Commonwealth of Independent States and the European Union. 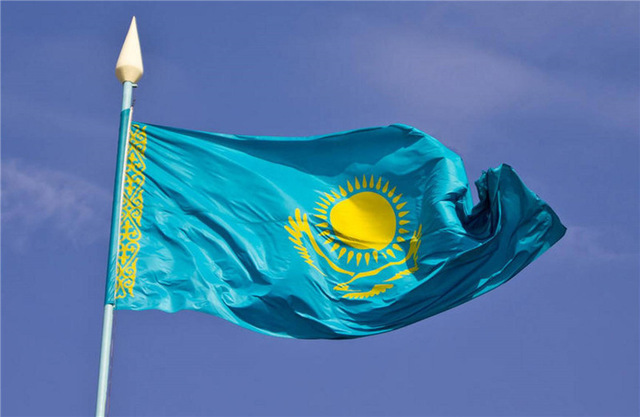 The same facilities operate in Aktau, Kostanai and Zhanaozen. Mangistau and Atyrau have similar climatic conditions and the same salty clay soil – that’s why we choose this equipment,” said head of the plant Almas Izteleuov. 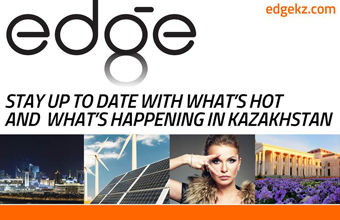 Kazakhstan will introduce a new environmental code in December, according to Forbes.kz. The Ministry of Energy will include a provision for climate adaptation in the document. “Today, climate change is observed in all sectors of the economy, and our region is one of the most vulnerable. Intensive melting of glaciers, increasing frequency of natural disasters and an increased degree of aridity – the problem of the Aral Sea – can cause damage to the economic stability and food security of the region… The consolidation of joint efforts and the private sector will help find optimal solutions and lead to regional cooperation in climate change,” deputy head of the ministry’s International Relations Department Kerei Bekbergen told the second Central Asian Climate Change Conference in Tashkent April 3. The Nur Otan party and the Bolashak corporate foundation will open 20 education inclusion support offices nationwide by the end of the year as part of the Future Without Barriers project. Work is underway to bring inclusive education to all regions. The foundation has opened support offices for 248 children with autism and other mental disorders in nine cities. “According to WHO statistics, the number of children with autism is growing around the world. Children should have the opportunity to go to school. We aim to open inclusion support offices in every city. Some children have attended school for the first time due to the opening of inclusive classrooms in Kyzylorda, Shymkent and the West Kazakhstan region,” said Director of the Bolashak Corporate Foundation Dinara Chaizhunusova. Lev Gumilyov Eurasian National University (ENU) cracked the top 301+ of the Times Higher Education (THE) University Impact Rankings 2019, reports the press service of the university. The ranking assesses the contribution of universities to the implementation of the UN Sustainable Development Goals. ENU was in the top 200 for decent work and economic growth and peace, justice and strong institutions indicators. “This ranking will put all universities on a level playing field and rank them according to the impact they make on society, against their own unique missions. What’s really exciting is that we’ve seen prestigious research universities that perform well in the world rankings take part and we’ve seen institutions that have never before engaged in global rankings – particularly universities from developing countries that are not research-intensive – participate as well, to demonstrate that they have an impact,” said THE Chief Knowledge Officer Phil Baty.